There’s no worse feeling than hearing a doctor telling you have cancer but there’s no better feeling than hearing you haven’t got cancer and knowing that you haven’t got cancer every day you wake up after that… At least until your next check up. I often wondered what it was like for David living with a person who had an insatiable appetite for life and wanted to see, eat and do all the things. Exhausting, I expect. But then David had a stroke and he developed an insatiable effort for life too. It was a wake up call of the most frightening but enlightening kind. I don’t want to get all doom and gloom here but let’s face it, we’ve had two touches of cancer and one stroke between us and we’re not even in our mid forties yet (almost, but not quite!) One thing is for sure though, we do like to pack it all in. Now I wouldn’t say that we’re living our life with any urgency, because if we were animals we’d be totally be part of the sloth family, but we certainly don’t put off tomorrow what we’d like to do today. Because life is happening right now and we don’t want to miss it. 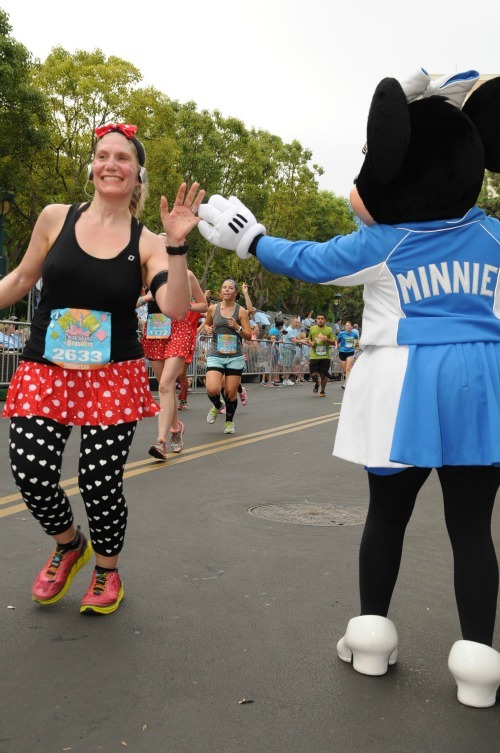 In 2014, I went to Disneyland to run the half marathon, to get a Mickey Mouse medal and get closure on cancer. It was a dream fulfilled and a life defining moment. 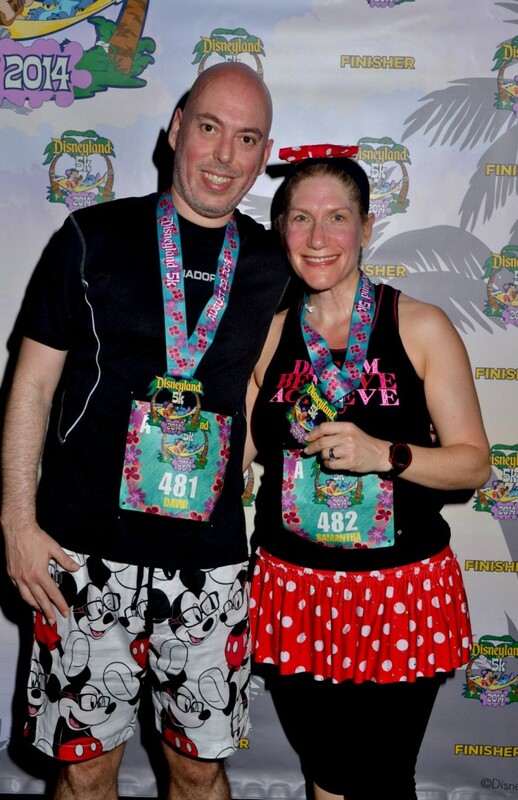 David didn’t run the half, but he did join me in the 5k and he made a great job of being my personal half marathon photographer. Fast forward two years and we’re making a return to Disneyland. But his time we’re running a 5km, 10km and a Half Marathon on three consecutive days and best of all we’re running it together. This is pretty much my dream come true, running in my favourite place, with my favourite person and we’ll be bringing home the bling. But back to that old chestnut, of making things count. On a personal level, this is something truly special. We both feel very blessed that we are healthy enough to make this happen. But we want it to be bigger than and count for more than that. 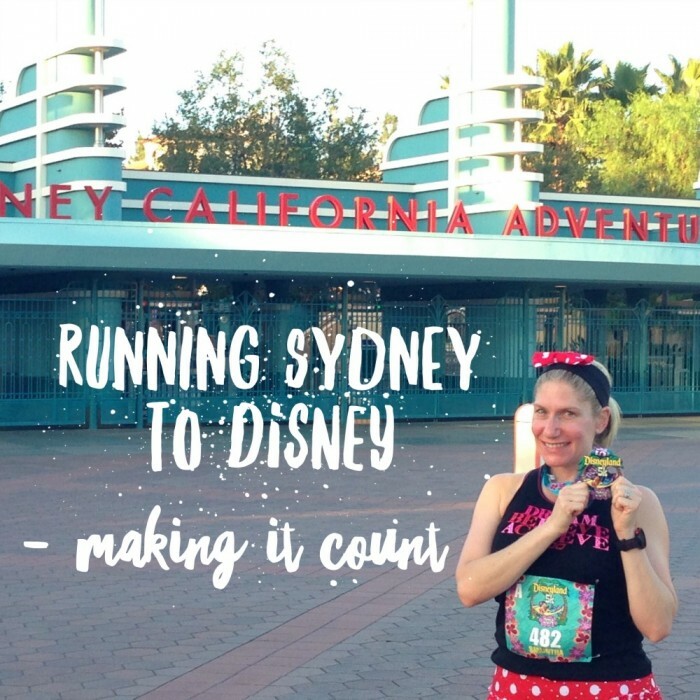 So that’s why we’re running Sydney to Disney for the Stroke Foundation and we’re turning fundraising into runraising. Our fundraising page is up and running (sorry couldn’t help myself!) and just like every day, every penny counts. If you can support us by splashing some cash, please do because donations make us run faster (kind of) but if you can’t then some virtual cheering will be equally awesome. Because I really believe, that together we can make a difference. Have you ever been to Disneyland? What should we do there when we’re not running, of course? 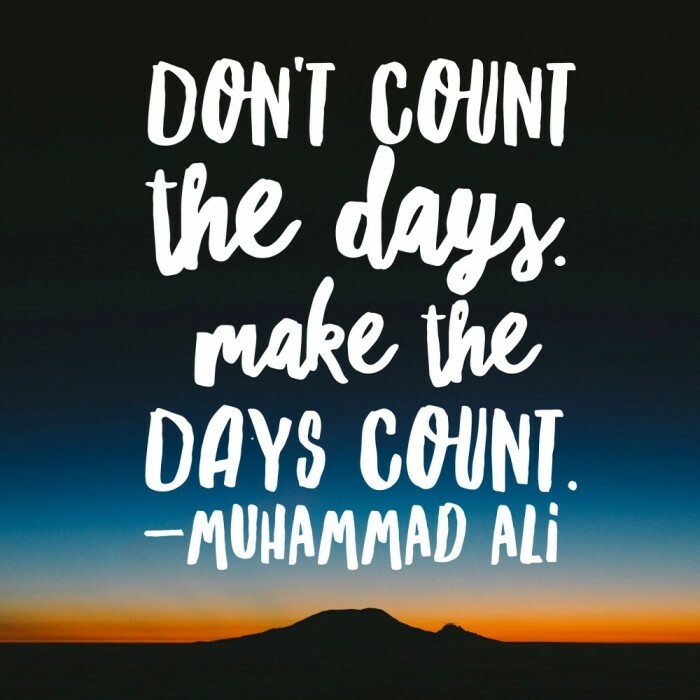 Do you have a favourite inspirational quote?